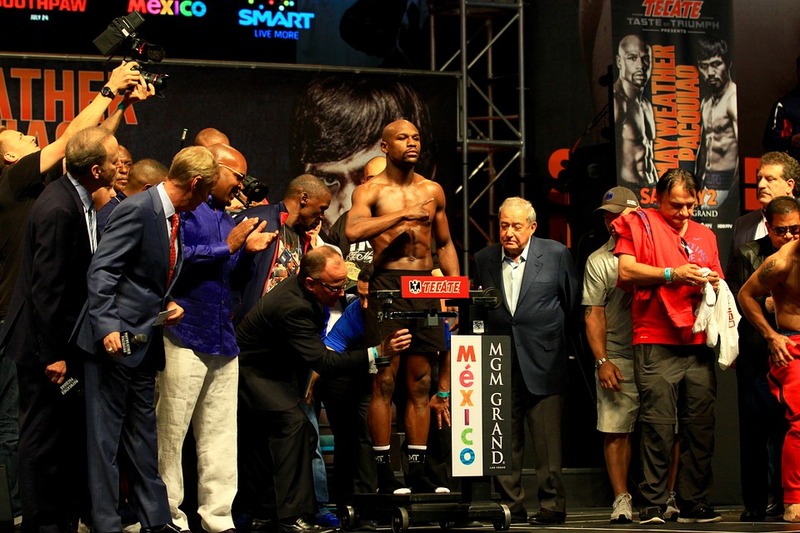 MMA/Boxing: What does the "Money fight" do for Boxing and MMA? “The Money Fight” between Floyd Mayweather and Conor McGregor this past Saturday night in Las Vegas ended in the most probable way, but not without some fireworks along the way. McGregor did much better than anticipated, and left us with an entertaining fight between boxing and mixed martial arts’ two biggest stars. The MMA community was more optimistic we’d see a dogfight. UFC president Dana White kept selling the fight on McGregor’s power, size, and youth. “When McGregor hits guys, they go to sleep,” he reiterated. But really, no one knew what to make of the event. Luckily, it ended the best way possible for all parties. McGregor came to fight in his pro boxing debut against one of the best to ever do it, showing bravery and making things interesting as he caught Mayweather with clean shots to win some early rounds. He landed 111 punches on Mayweather throughout the bout, more than many other world-class boxers before him. But ultimately, he was still in with a legend, even if he looked his age, and in the 10th round he had nothing left as Mayweather connected on each punch he threw, forcing the referee to stop the fight. But now that it’s over, what should we make of it? The fight came together because there was way too much money for it not too. Mayweather came out of retirement for the lure of a potential 300-million-dollar payday, and Conor McGregor tripled his net worth in merely 30 minutes of work. The figures have been so astronomical that people on both sides of the MMA and boxing communities have expressed interest in a cross-over event as well. However, there were many hurdles to cross for this fight to come together, and don’t expect it to happen again anytime soon. But now, it’s back to business as usual. “The Money Fight” was a large enough event to help boxing and mixed martial arts’ momentum for some time to come. In boxing it is common for massive hype to lead to a massive letdown, but this time the casual fan got what they paid for and were left with an affinity for the sport moving forward. Especially after shelling out money to watch the boring debacle that was Mayweather-Pacquaio back in May 2015, where many were left with a bad taste in their mouth and boxing was left in a slump. Last year was a rough go for the sport, with no marquee match-ups. However, 2017 has seen a large upswing in ratings with matches like Thurman-Garcia, Golovkin-Jacobs, Kovalev-Ward II, and Brook-Spence to name a few. Fans also got one of the best heavyweight fights ever earlier this year between potential global star Anthony Joshua and all-time great Wladimir Klitschko, emphasising that boxing’s marquee division is back. On the day of the Mayweather-McGregor fight, ironically, CEO of Top Rank Promotions’ Bob Arum announced a 4 year partnership with ESPN, sure to provide marquee match-ups of stars in the years to come on a basic cable outlet. Then, looking forward, on September 16th we get the event that boxing fans have been demanding for the last two years, in Canelo-GGG. It will do huge, huge PPV numbers and many expect the match-up to be a classic. The sport is in a great position for fighters of the next generation in the years to come. The UFC and MMA, too, have had months of promotion where Dana White and McGregor had the exposure to reach the masses and leverage a setup for future super fights. Conor returns to MMA a much larger global star and with a plethora of options on the table. He possesses the ability to, and likely will, surpass all the ratings records he has previously broken. A trilogy fight with sport rival Nate Diaz is sure to bring astronomical numbers. Tony Ferguson, Khabib Nurmagedov, or Max Holloway are also possible, lucrative, options. But more than anything, what McGregor has really done is establish a foundation for self-promotion other fighters can follow to grow their brand and subsequently, the sport. He is the golden goose of the UFC, but they are desperately in need of new accompanying stars. Their biggest draws of the past in Ronda Rousey, Brock Lesnar and Jon Jones aren’t relative at this point and don’t have anyone else who can really move the ratings needle. McGregor’s rise however has transcended a message to mixed martial arts talents. His story of welfare-turned global star has provided other fighters a path for self-promotion based on talent development and being charismatic in front of the camera. It is more obvious, and received, than ever. Last Saturday’s fight was an event for the ages. But what started out as merely an event ended up being a fight, and has left fans clamouring for more.